Brandon men’s brown leather waistcoat. 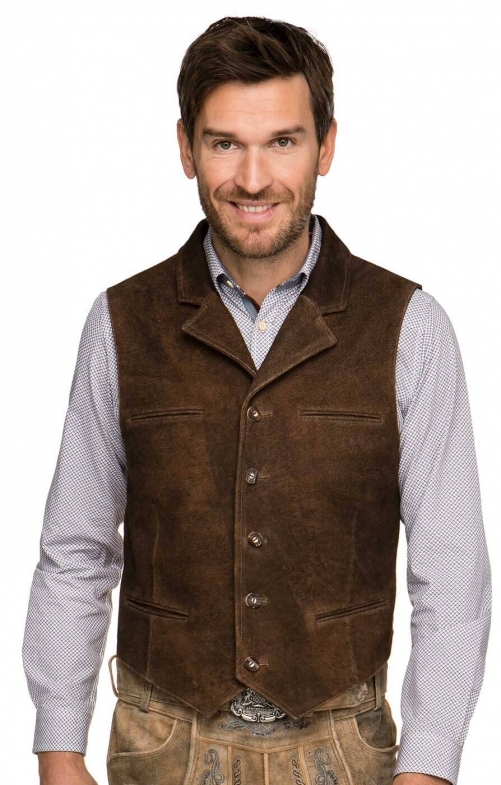 This soft yet very durable leather waistcoat has been made in a soft chocolate-brown colour that is ideal for special occasions such as Oktoberfest. Traditional Bavarian lapels and the tapered front are sure to turn heads, while the horn buttons that run down the front add more to the Trachten look.